TGIF is hosted by Ginger at GReads! Pick a previous question you posted on your blog in the past and revisit your answer. Has it changed since then? I'm kind of twisting the question - I've only done TGIF 17 times, and most of those are recent and/or I still agree with everything. Which would be quite a boring answer! So instead, I'm going to revisit the first TGIF I ever did, which was the first of the new year since my blog was born on January 1: Book Blog Resolutions! What better time to check in on New Year's resolutions than just over halfway through the year?! 3) Give vampires another chance. 4) Open up discussions on books. SUCCESSES: I'm surprised that I've actually kept up with these pretty well! Normally resolutions are lost on me by February. 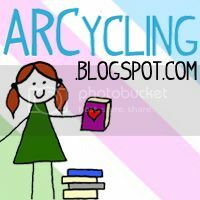 But I've tracked my books consistently, and that this blog still exists is testament to number five. I am still on track to read 100 books in the year (3 books ahead! ), though I've been slacking lately. It was going swimmingly, I was over 8 books ahead at one point...and then life got in the way and now I'm only on track. Hopefully in the coming summer months I can pick it back up. EHHH MAYBE: I've tried with the discussion, and I feel I've had some successes. But I'm still crap at responding to comments, and I don't engage on Twitter as often as I could or would like to. I'm working on it, I swear! Which TGIF post did you revisit? Leave your link in the comments and I'll hop by! 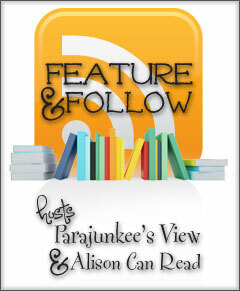 Follow Friday is hosted by Alison Can Read and Parajunkee's View, meant to spotlight two blogs and allows bloggers to link up and meet other fabulous bookish friends and share the Following love! Christmas in July: Someone gives you a gift card for two books (whatever that costs). What two books will you buy? Crap. Only two?! Way to make it difficult! My TBR stack is too huge to even attempt to narrowing it down to two, so I'm going to go with books I read, loved, but don't own a finished copy of yet. What two books would you buy? Leave me your link and I'll hop by! Q: What's the ONE super-hyped book you'll NEVER read? I don't like saying I'll never read a book, just because I always find myself picking up strange, random or completely unexpected books at the oddest times. Maybe I end up enjoying them, a few times I've questioned why I kept going...regardless, I've definitely read ones I swore I wouldn't. (Such as the Twilight series.) I'd like to say Fifty Shades of Grey - and I assume that'll be the popular answer because there are very polar responses to that series - but the truth is that I've totally read random passages as I stand in a store killing time. I don't think I'll ever read all of it, but...stranger things have happened! Though I will say it'd be hard pressed to get me to read the Sookie Stackhouse series. I don't know if that counts as a 'super-hyped' book (kinda? True Blood is pretty huge...) but I've tried to read Charlaine Harris books before and the writing was just...not for me. 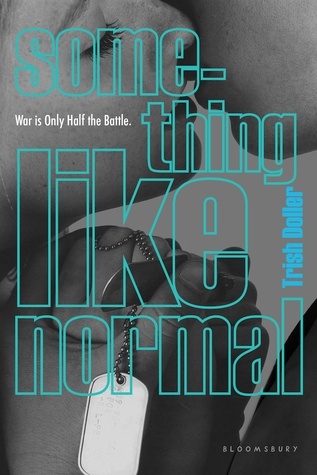 I had to put it down, and I very, very rarely DNF books. Maybe the SS series is better, maybe the one I tried was just a fluke, but it was so bad for me I can't go back. What hyped book will you ignore? Tell me in the comments or leave a link! 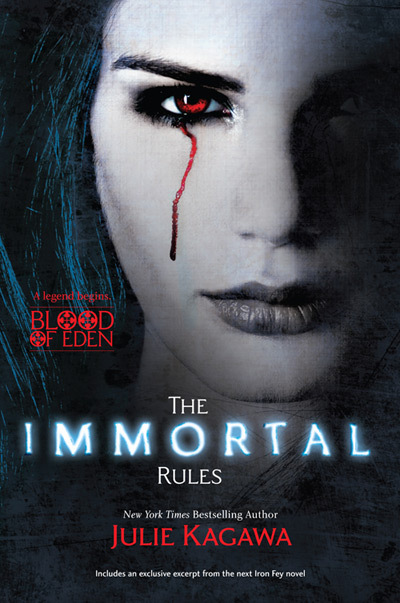 I haven't read Charlaine Harris's other books but I do like the Sookie Series but I am a vampire girl :). There are some really good ones out there. I can't wait to read what you think when you do read some. For me, it's Fifty Shades. Not interested in that kind of thing at all and if something isn't edited well or well written, it spoils any book for me. Wolf Hall was a super-hyped book and I got that but I'm struggling through it -had this for more than a year I think and still not finished, but it's interesting, just a bit slow here and there. If 50 Shades and The Help hadn't come instantly to mind for me, I would have picked Sookie Stackhouse as well. I actually bought the first 8 in a box set, read the first and gave my box set away. I was reading your revisit vampire and in my head yelling VAMPIRE ACADEMY, so I'm psyched that you're planning on reading them. Adrian, sigh. And I totally chose Fifty Shades of Grey, but Sookie Stackhouse totally counts as hyped. I was the same "Only two books?!" xD Omg, I want to read Will Grayson, Wil Grayson so bad. Any book by John Green should be owned by everyone. I hope you manage to get your hands on both your picks soon, Ashley! It is hard to to choose two books! I haven't really heard of these two before but they sound interesting! Great choices :-) Thanks for sharing! It looks like most people are answering with 50 Shades today. Great answer! I kind of gave up on vampires too. The only one that really got me by surprise was Vampire Academy and I actually liked it, which I was totally not expecting! I'm glad you're keeping most of your resolutions! I almost never keep any, but I've been doing well as far as the number of books I've been reading. My answer is in the with popular one that I have seen today!!!! :) I am not interested at all in this book. It was all over the bookstores in Scotland....front and center. UGGH. Stop by my blog for my full answer if you like. Great picks for FF! I really need to read a John Green book soon! You aren't doing too bad on your New Year's Resolutions. 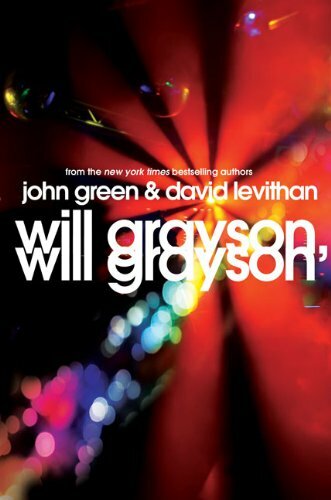 I loved Will Grayson, Will Grayson and really want to read Something Like Normal. Old follower. Hopping through. I haven't read Fifty Shades. I didn't think I was going to want to read it but I've grown too curious. I do expect it will be terrible though. That was a great Throwback TGIF - I had a similar problem but didn't think of that! I just went to a random number generator and went with the result (Literary Vacations). I'm not a huge vampire girl myself, but I'll read them if I'm bored/fancy something different/nothing else at the library jumped out at me! I keep hearing good things about Something Like Normal, but I'll have to check out Will Grayson, Will Grayson. I can actually sympathize with you on the Sookie Stackhouse series. My friend's swear that I just have to get into them but...well...not happening :). I tried. I really did. Great answer! New follower via RSS! Really this is good blog for select your book because this blog has all new books with good selection thanks for share it dissertation writing services . ***This blog should NEVER have a security captcha - please let me know if you encounter it and I will fix ASAP. Thank you! Tune In Tuesday: The Teen Years...in TV Shows!